How Many of These 2016 Trends Will Be At Your Wedding? This year, we’ve seen a number of trends featured in weddings across the country. From rose gold hues to freshly picked blossoms, the weddings trends of 2016 have been stunning to the infinite degree. We’ve listed some of our favorite wedding trends—including our very own sparklers—below. Let us know which ones your favorites are! Whether you opt for rosy hues or yellow tones of this metallic, including a few touches of glimmering gold will take your wedding celebration to the next level. Line your tables with a shimmery fabric runner or include golden vases and glasses as centerpieces. You can even choose from our gold wedding sparklers for sale! We couldn’t be more in love with the rustic chic weddings we’ve seen lately. A perfect blend of elegance and southern charm, rustic weddings provide a balance of comfort and style for the occasion. We’ve seen couples incorporate glass chandeliers, candles, chalkboards with sweet messages and other details to truly make their wedding one of a kind. First, wedding sparklers are a must have for weddings. They not only provide entertainment and engagement for your guests, but can also be used for breathtaking backdrops in photos. You’ve seen them—the newlywed couple embracing within a circle of their closest friends and family members, all holding lighted wedding sparklers. 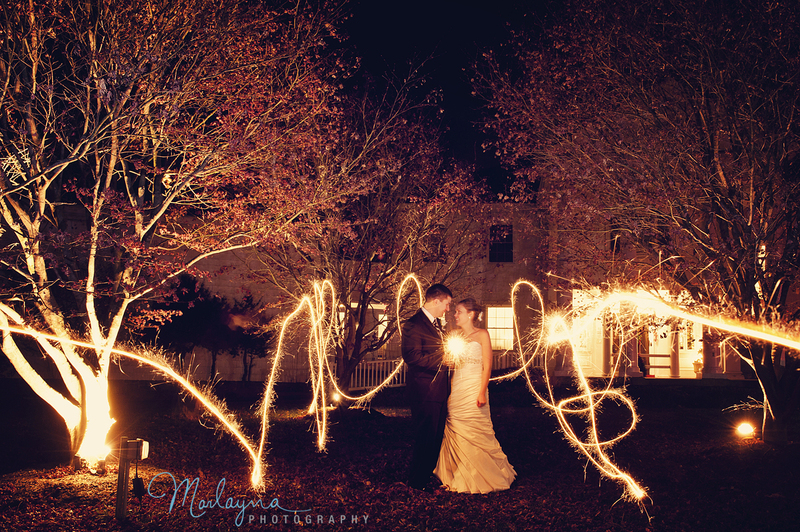 You can even ask your photographer to take a long-exposure shot of you and your partner drawing hearts with the sparklers! Combine social media with the eagerness of your wedding guests to share special moments from the big day, and you get a #weddinghashtag and abundant photos for years to come. Even after your wedding day, highlight your favorite moments from the ceremony and reception in a short reel created and edited by a professional videographer. Your guests will love that you captured the fun and liveliness in a way that will make it easy to share across their social networks. Let your love and individuality shine on your wedding day. This is a special moment and time in your life, and it should truly reflect everything you imagined. Let us help you make it one of a kind with our wide selection of wedding sparklers. Shop our available selection of sparklers online today to make your order.